I recently attended the press launch of Samsung Electronics Philippines Corporation (SEPCO) new product at Makati City. A leader in digital media and digital convergence technologies, unveiled the Samsung MultiView MV800 a digital camera with a 3.0” Wide Flip-out Display. The company is pioneering a new and unique MultiView category to enable today’s increasingly ambitious camera user to frame the perfect shot or portrait, from any angle. 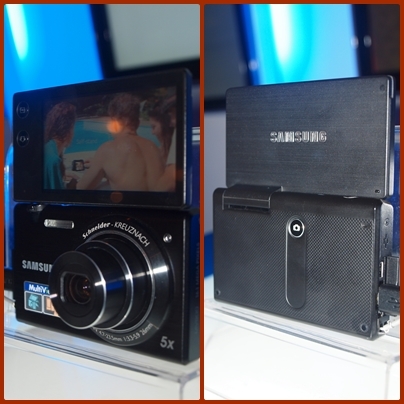 The Samsung MV800 is the first premium compact model to feature a 3.0” Wide Flip-out MultiView Touch Display. Samsung has made this innovation for the user to move it upwards in response to evolving consumer demands in the segment for maximum flexibility, enjoyment and creativity. 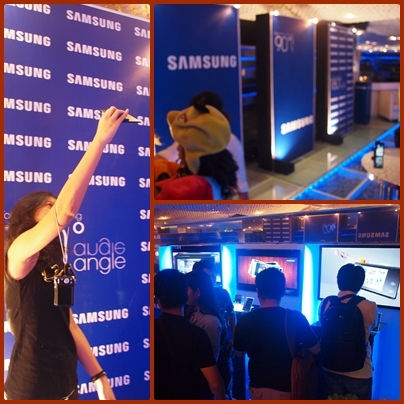 We all wanted to have a perfect self portrait to polish your online profile or extreme low and high angled shots, Samsung MV800 can give you this satisfaction we tried it and it really works so easy. The Samsung MV800 camera offers an impressive 16.1 MP for premium picture quality, along with a 5x optical zoom lens to capture every detail in close-up and a 26mm wide-angle lens to capture larger gatherings in high definition. By packing this technology into a sleek and slim device, the Samsung MV800 is the ideal camera for premium-quality image capture on the move, ultra slim and stylish device boasts enhanced picture quality and a touch screen technology,user-friendly features to ensure that all users can relax and enjoy their shooting experience, confident of capturing even the most challenging images. For more information on the Samsung MultiView MV800, please visit: www.samsung.com/multiview .The Samsung MV800 is available for P14,990 at all leading camera shops nationwide.